Find bedding and linens crafts, home decor craft ideas and bed linen and bedding craft projects here. Women often love and enjoy sewing crafts. These crafts are very creative and at the same time useful too. You can save a lot of money by involving yourself in such crafts. One such sewing craft is bedding and linens craft, which can help you make beautiful home decor items. There are times you are not able to find the exact match of bed linen for you room (confirming with the overall decor) in the market. In this case, you can design your own bed linen, using bedding crafts projects, and give a personal touch to your bedroom. Bedding and linen craft projects, especially come handy if you have a bed that is of uncommon size and needs customized linens. 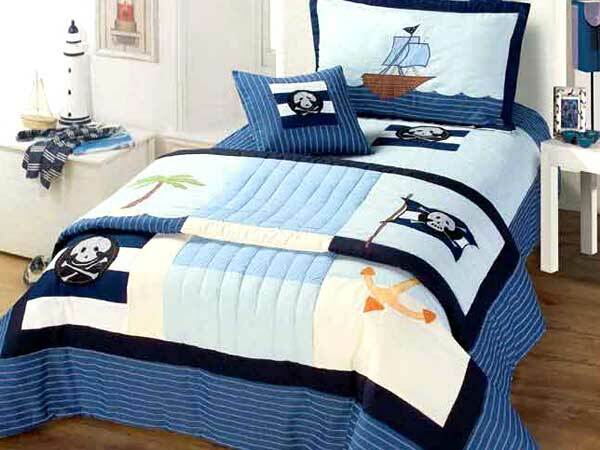 The bedding and linen crafts mentioned in our related section can help you to make some beautiful designs for your bed. For instance, the handmade dorm quilt will prove very useful to the college students or frequent travelers, especially because they have the embroidered name of the owner to make them easily identifiable. Then, there is canopy bed drape, which adds a touch of period look to your four-poster bed and brings romanticism back into your life. You can always make a fitted spread for your bed. As it confirms to the exact size of your bed, the process of bed making will become much easier. Go ahead and try the bedding and linens crafts suggested in this section. Fitted bedspreads look beautiful and elegant in a master bed room. While you can buy fitted bedspread from any linen shop, making it on your own can be economical as well as personalized. Moreover, it is advantageous over a throw- over bedspread, which can slip and fall. A fitted bedspread also gives a tailored look to your bed. It can easily be made to co-ordinate with your color scheme or decor of the room. If you know the basic sewing skills and have a creative mind, then you can make beautiful quilts, pillow cases, blankets and clothing for your home, yourself. A handmade piece of clothing or comforter not only reduces the cost of purchasing the same from a shop, but also adds a personal touch to the interior decor of your home. Moreover, you can save a lot of money, because you have to purchase only a few supplies (the raw materials) from the stores.